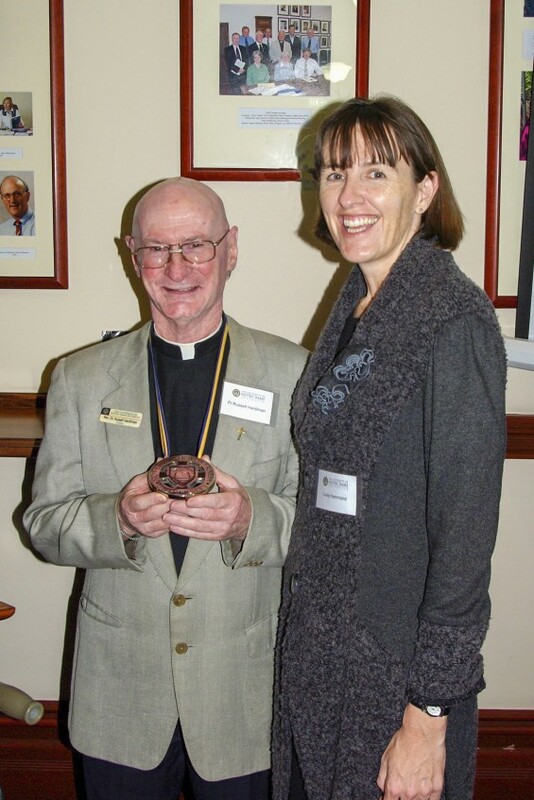 Bunbury retired priest Rev Dr Russell Hardiman received the Distinguished Service Medal for 20 years’ service to UNDA in 2012, shortly before his retirement. Photo: Supplied. After 52 years of serving in the Diocese of Bunbury and Archdiocese of Perth, where he provided outstanding pastoral care, along with a vibrant academic contribution, Fr Hardiman died on 19 January at the age of 75 after a long battle with Alzheimer's disease. Born on 3 March 1943 in Leonora to Hugh and Agatha Hardiman, a then 15-year-old Russell enrolled into St Charles Seminary in Guildford in 1958, before earning a scholarship to complete his seminarian studies at the Pontifical Urbaniana University in Rome and then earned a PhD in Sacred Liturgy at the Pontifical Liturgical Institute of Sant’Anselmo. After seven years in Rome, he returned to Albany and was ordained a priest on 9 July 1966. Fr Hardiman served as Parish Priest in several parishes across the Bunbury diocese, including Albany, Boyup Brook, Gnowangerup, Donnybrook, and Waroona. Rev Dr Hardiman with fellow clergy from the Diocese of Bunbury. Photo: Supplied. These appointments may have kept him busy, but it did not stop Fr Hardiman from using his knowledge to help with other areas in the Church, namely serving in the Perth Liturgy Committee as a member, Vice-Chairperson of the West Australian Liturgy Commission, as well as a long-term consultant for the Australian Catholic Bishops’ National Liturgical Commission. He was also President of the Australian Academy of Liturgy from 1989 to 1993 and Dean of Studies at St Charles Seminary for one year from 2004 to 2005. When he did have some spare time in between his hectic schedule, Fr Hardiman’s hobbies included playing a number of sports, impressing his peers with his professional gymnastics, football skills, and his passion for golf would often find him emerging as champion at club and clergy tournaments. 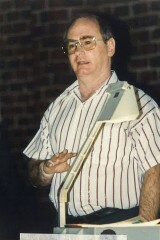 During his appointment in Donnybrook, Fr Hardiman fell in love with teaching, marking the start of a fruitful academic journey that would take him to lecture in Liturgy at the then Maranatha Institute (now Centre for Faith Enrichment) from 1979 to 1993, and then at the Catholic Institute WA and Edith Cowan University (1981 to 1993). 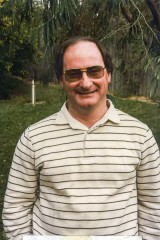 He served at Perth College Divinity for eight years while in Waroona during what would be his final posting as Parish Priest, but it was his next posting in 1995 at the University of Notre Dame Australia (UNDA) Fremantle Campus as Senior Lecturer of Liturgy, editor and author, that gained him the title of “internationally recognised liturgical scholar”. This comes after his many contributions to the Church and University, including the Pastoral Liturgy journal, of which he was the founding editor in 1970. The resource proved to be very important to the local church in assisting with the implementation of liturgical changes post Vatican II. Pastoral Liturgy is currently in its fifth decade and continues as a publication of UNDA’s School of Philosophy and Theology. Another academic accomplishment of Fr Hardiman included an extensive history of the Catholic Church in Australia through the story of his own family called From East to West You Gather A People tracing eight generations. This large work is notable for its excellent detail and encyclopaedic nature. His personal library of many thousands of items is a singularly important history of liturgy and Sacramental Theology of the past 50 years. Regarded as “true servant of UNDA from its early days” by UNDA Vice Chancellor Celia Hammond, the University awarded Fr Hardiman with the Distinguished Service Medal for 20 years’ service to the university in 2012, shortly before his retirement. Just two days before his death, UNDA welcomed a Liturgical Collection containing more than 4600 books and thousands of other documents covering 50 years of Church liturgy and history, collected and curated by Fr Hardiman throughout his life. At the funeral Mass, Bunbury Bishop Gerard Holohan conveyed his deepest condolences to the family. 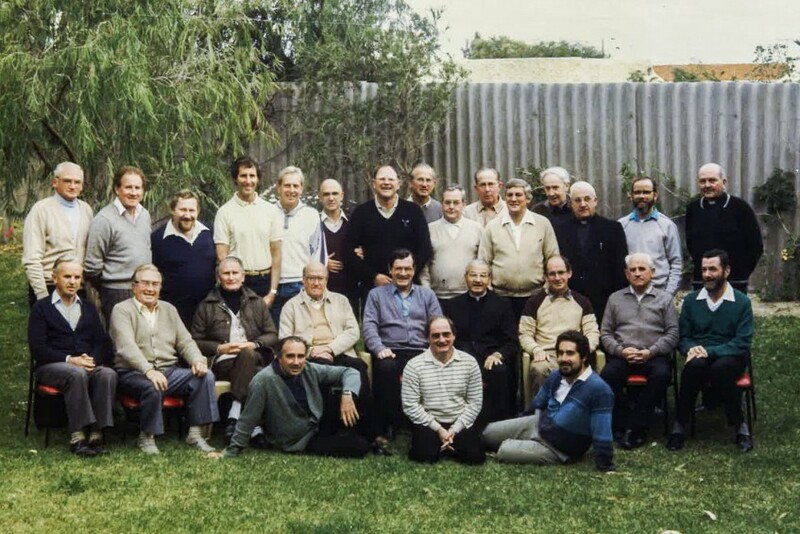 “Russell’s ministry has brought blessings to countless people in Australia and overseas through the priests, deacons, teachers and others he formed in liturgical ministry. “Our deepest sympathy goes to Fr Russell's family at the loss of their beloved brother and may he rest in peace,” Bishop Holohan said.